What says romance like visiting the worlds largest grave which consists of 6 million sets of bones? Well that's exactly how my husband Gabe and I started off our 2 year wedding anniversary. We visited the Catacombs of Paris, otherwise known as Les Catacombes on our trip to Europe a few weeks ago and it was one of the coolest things we have ever seen. If you are planning on visiting the Catacombs while in Paris (I strongly encourage you to do so), buy your tickets in advance. There are multiple websites which offer front of the line access - upwards of $100 a person. No need to spend that - we found ours on Get Your Guide for $31 a person - click here for the link. Be sure to get these far in advance. The line when we left was wrapped around the entire building. They only allow a small amount of people in at a time so if you don't have priority tickets, you will be waiting for hours. Upon entering, you receive a audio guide, which explains the Catacombs history. while walking down the 130 steps to get to the Catacombs, there is a feeling of anticipation and a bit of anxiety. Then you go through a fairly long tunnel to get to the bones. You may be asking yourself why there are 6 million sets of bones in the Catacombs. In the 18th Century, the cemeteries of Paris were becoming overpopulated which resulted in improper burials, open graves and diseases. Gross! In 1763 Louis XV banned all burials from the capital but the Church opted not to disturb the cemeteries. Nothing was done and in 1780 Paris got a long span of rain which caused the walls around the cemetery to collapse. Imagine what happened to all those bodies - doubly gross. The Catacombs were blessed in 1786 (it was the former Tombe-Issoire quarries). Two years later, all of the bones from Les Innocents were transferred and it took decardes to remove and rebury the bones from surrounding cemetery's. The practice of burying the newly dead directly in the catacombs began after the French Revolution. In 1859 the final transfer of bones took place and the Catacombs were complete as of 1860. In 1867, the catacombs were open to the public. The Catacombs stretch underground for over 300 kilometers (186 miles). Think about that next time you are eating Macarons while walking down the streets of Paris. Following the tour of Catacombs, we stumbled upon an open air food market which was equivalent to every foodies dream. Fresh truffles, Foie Gras, Sea Urchins, Fresh Pasta, Cheese galore - I could have seriously spent a pretty penny there. 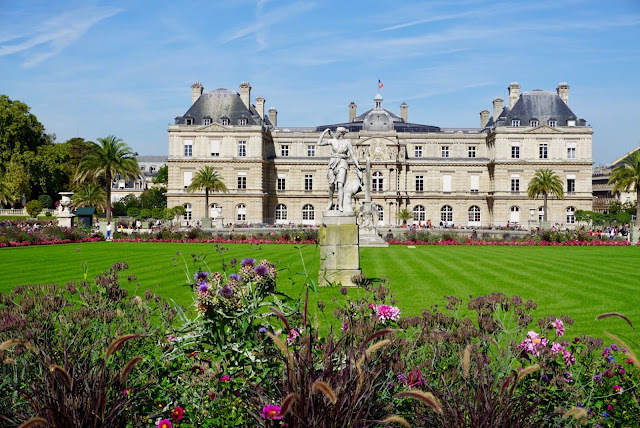 We had a nice picnic at Le Jardin des Tuilerie then headed to Climb Notre Dame. 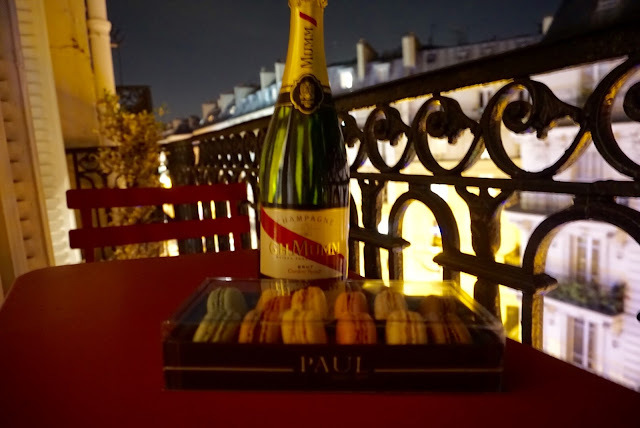 We ended our anniversary with a gorgeous sunset which we enjoyed on the balcony of our Air BnB rental with a bottle of Mumm and Macarons.